One of the key requirements of a Human resources management system is the ability to facilitate decision-making use of the information in the system. The reporting functionality within SAP HR is one of the main reasons why clients have chosen SAP rather than another HRIS - one of our former research articles takes a closer look at the different reporting tools available and how to make most use of them. Reporting can become very challenging when the differing needs of many decision-makers - human resources, payroll and benefits professionals, line managers, and executives - must be met. SAP HR has responded to this challenge and offers a variety of access methods designed for the needs of different users. This article focuses on the functionality of Ad-hoc Query, a tool that still isn’t used by all companies who have SAP HR. Some of these organizations are still unfamiliar with the full potential of Ad Hoc query and are afraid to use it. This article has a closer look at how easy it is to use ad hoc query and how this simple but powerful tool can make your reporting so much more efficient and less time consuming. The advantage of Ad Hoc Query is that it enables occasional system users or people with little experience to define their own reports according to their personal requirements in an easy and quick fashion. It is an ideal query tool for anyone who needs to obtain human resource information when and as needed. An overview of different types of available HR information (for example Personal data, Addresses, Basic pay, Organizational assignment etc.) is displayed in a list, which includes all the infotypes and the relevant fields, users need to pull the information from. This list is obtained by creating a functional area. Users simply select the information they want by marking checkboxes in the list. Report results can then be formatted to users' needs and preferences; for example the presentation style or the sequence of columns in the report can be changed. Users can create and then format the output of the desired report all in one screen and save the query to run it whenever needed. The Human resources, payroll, and benefits departments need to run a great array of reports – SAP provides reporting tools supporting both regulatory reporting via a series of standard reports as well as query options that support customized reports and strategic analysis tools. 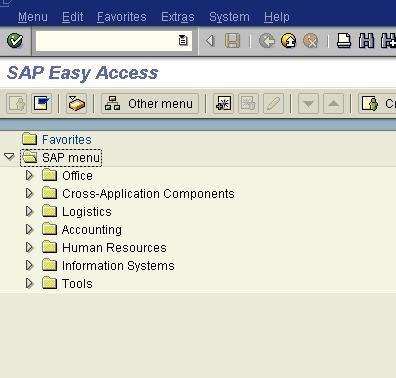 While the legally required reports are included as a standard part of the SAP HR system and have some degree of selection options (usually organizational assignment selection options), these reports cannot be altered by the user to suit his or her specific requirements – they might not include all the data users need to obtain, might not have the option to be downloaded to an Excel spreadsheet or might not have the right format. This is where Ad Hoc Query is so significant. HR Ad Hoc Query enables users to create company-specific reports that respond to their ever-changing needs for information about employees and the organization. The user simply selects the fields he needs to report on from a check-box screen. This report creation process requires minimal training and allows users to perform detailed analysis of human resources, payroll, and benefits information to support the needs of their organization. Integration with Microsoft Word and Excel allows users to format and modify the output to suit their needs or to save their reports in HTML format in order to e-mail them to other users. Even individuals such as Managers outside the HR/Payroll/Benefits departments who have no previous experience with SAP HR can use Ad Hoc Query to define the reports they need. It is critical for these managers to be able to report on information about their staff. It happens all too often that they need a specific report and have to ask HR to produce the right data – this is both frustrating for the Line Manager having to wait and for HR who might have other critical deadlines. Ad-hoc reporting, which provides occasional users with easy access to the right information for their specific decision-making needs is an ideal solution. And since users can run and create their own reports, it frees both HR and the User considerable amounts of time. Line managers are able to access information about their specific organizations when they need it, in the formats that they require and can easily access data in the SAP HR system, as well as information from other business applications, to obtain the company-wide information they need for analysis and planning. As will all other SAP applications, flexible security and access authorization can ensure that access to information is restricted to defined areas for each user. HR reports almost always contain confidential data and special attention needs to be brought to setting up proper activity groups.